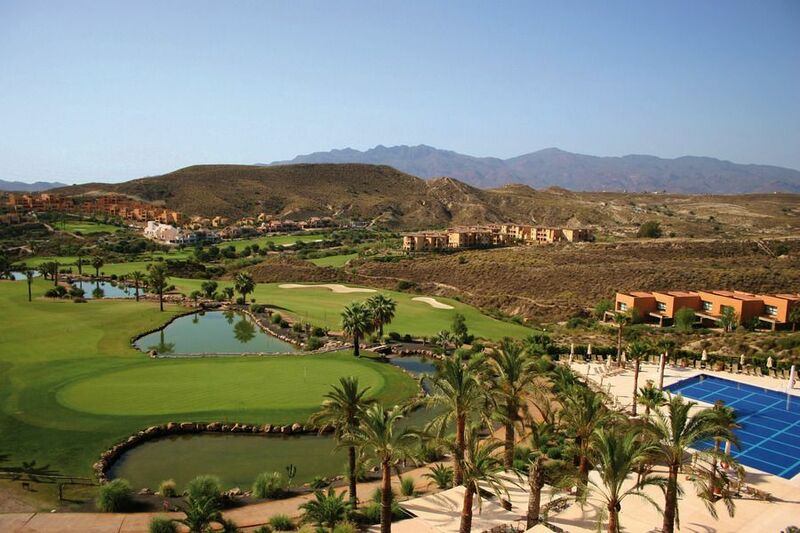 The Valle del Este Resort occupies a 108 hectare site, next to the Mediterranean dual carriageway. 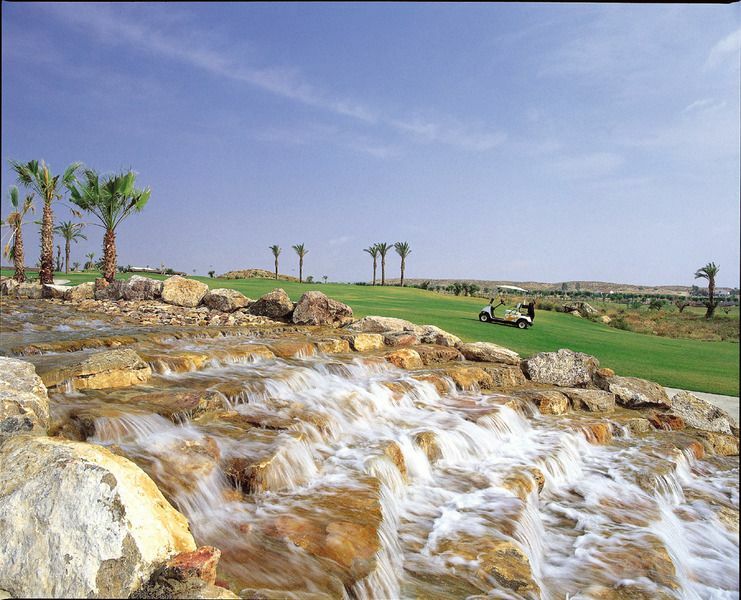 Wide fairways, elevated tees, receptive greens with a wide range of flag positions, as well as strategically-positioned water hazards and bunkers to make each hole an authentic challenge regardless of your standard of play. 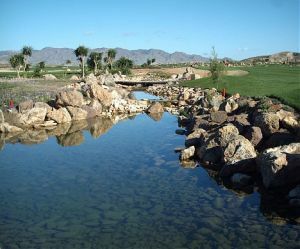 The desert of Almeria surrounding the course, offering occasional glimpses of the Mediterranean, and the folds of the terrain make for a spectacle of visual contrast and a perfect setting to enjoy golf in.Valle del Este Golf Resort is situated in the province of Almeria, one of the hottest tourist destinations in Spain. 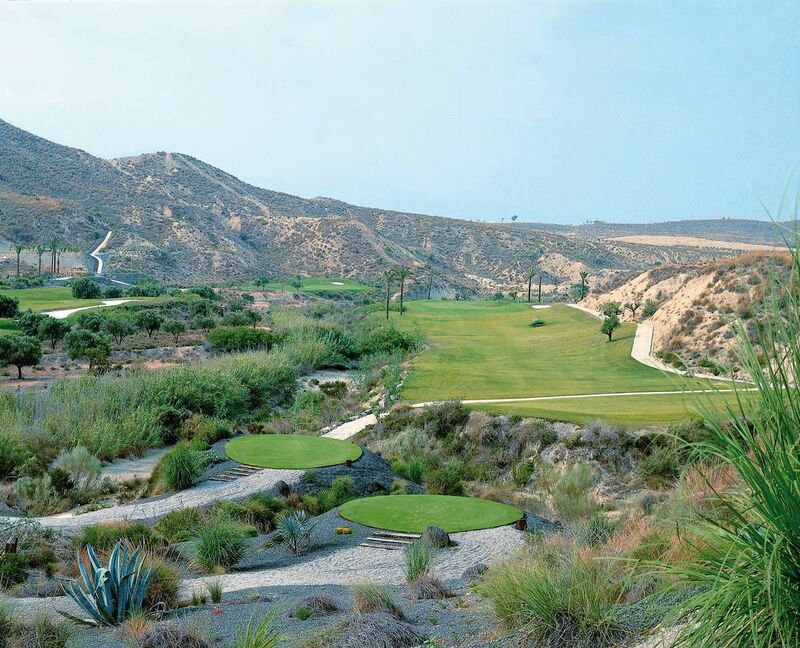 With a hotel, an 18-hole golf course, soon to be increased to 36 holes, a residential zone and a beach club, it is considered an oasis in the middle of Almería’s desert. 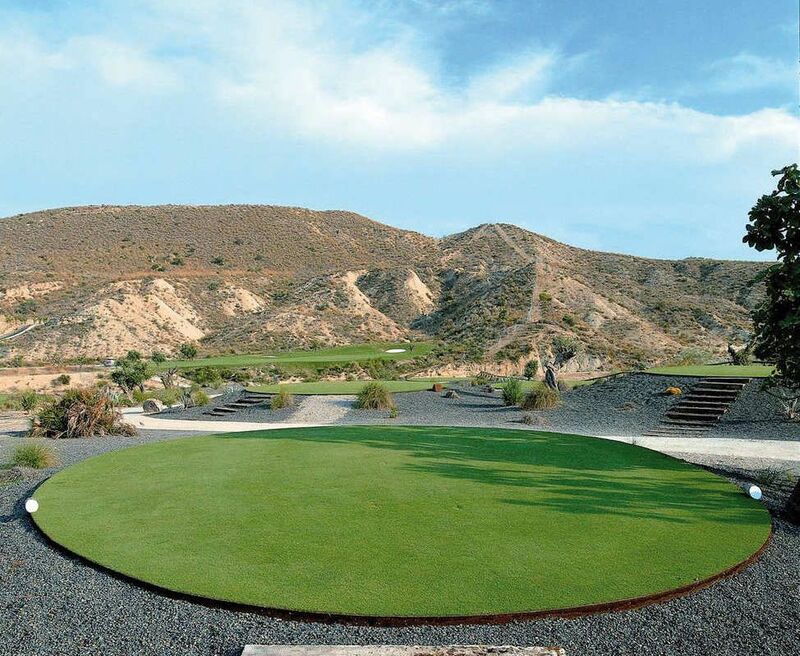 The two words heard most by people having finished their first round at Valle del Este Golf Resort. 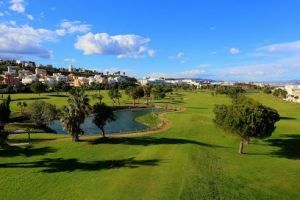 Designer Jose Canales, (of Islantilla fame) has managed to create a golf-course that is already considered one of the top new courses in Europe Overlooking the course, with a view of the Mediterranean, the Valle del Este Resort Hotel has 142 rooms, 6 of which are suites and another are 4 junior suites. Being a four-star plus hotel, it has a variety of restaurants and convention rooms. The sport-fans can use a large swimming-pool, and paddle tennis courts and a fully equipped gymnasium. For those who prefer a more leisurely pace, the sauna and Spa guarantee a relaxing experience. El campo de golf Valle del Este le ofrece 18 hoyos de estudiado diseño, que combina calles que supondrán un auténtico reto a su juego, con otras más relajadas. Una curiosa mezcla entre andaluz y Arizona. Tee Time Reservations must be cancelled no later than 15 Days prior to day of play. If reservation is not cancelled by this time, the credit card holder will be responsible for the full greens fees with the credit card being automatically charged. NOTE: Some fees collected at time of booking are non-refundable. Refer to the payment details to identify non-refundable fees. 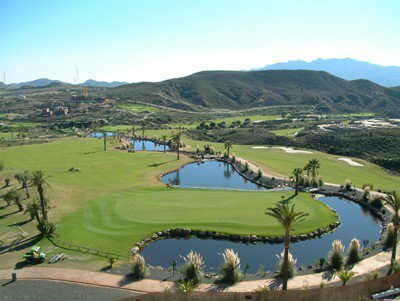 Valle del Este Golf Resort has different Services to offer. Choose a date and number or players to see the rates.